Scouting digital trends around the world. It results in news videos, series of trend scouting of one industry, expertise AI scouting, ad-hoc studies, innovation roadmaps, trainings and keynotes. Always thinking 12 months ahead. Chatbot concept and development in voice and text: bot / AI orientation workshops and roadmaps, conversation UX design, bot and NLP development. No more apps, no more boring websites. Just conversation with a bot. Space and Lemon is a digital innovation lab in a start-up mode at co-working space betahaus, in Hamburg and Berlin. Founded in 2016. Why a space and a lemon: start-up and open space (SPACE) and always new thinking and uncomfortable (LEMON). And we keep changing the logo colour. Always ahead of the digital wave, be it tech developments, new ecosystems or upcoming start-ups. We own a method to scout and analyse digital trends around the world. In numbers: 10 scouters, 100 tech events per year, 20 tech metropole visits per year, 12 months ahead not 5 years. It lands into news videos, series of trend scouting of one industry, expertise AI scouting, ad-hoc studies, innovation roadmaps, trainings and keynotes around 2019 trend study titled ‘How to survive in digital in 2019‘. Chatbots (text and voice) and AI are the catalyst of every new tech and digital development to come. A game changer in consumer interaction. We develop bots for companies and our own. In numbers: 15 bot projects, specialist team spending 10 days a month training bots and a lot of learnings. 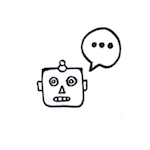 Concrete, we offer bot / AI orientation workshops and roadmaps, UX design, conversation design, bot and NLP development and trainings. With simple or more complex AI set-ups. We transform an office into a record studio (yes, with a green screen on the wall!). Video formats for companies’ intranets and for all levels. In numbers: 60 videos produced per year, digital news monthly series, 5 presentators, 3 languages. One production we really loved: 5 new digital habits of millennials. A monthly series of "Digital Updates". Deep-dive into a digital topic in 8 minutes. No time? There is an “espresso” version of 3 minutes. A great way to keep up with the fast world of tech and digital! A series of “A topic-in-digital explained in 100 seconds” with quick insights and tips for digital beginners. A good first step for getting in touch with digital and tech! If there is something to say, we say it in a video! For special occasions or happenings in tech. One example is a digital inspiration tour from 10 scouters in 5 tech cities (from San Francisco to Beijing). Watch it here! Trend Radar Series Trend radar? We scout, identify and analyse trends in one industry and put it in a radar. Then, we develop opportunities and concrete projects together with the brands and companies. Examples of industries: retail, finance, mobility, telecommunication, cosmetics, luxury, FMCG. Always in a series - 2, 4 or 6 times per year. Digital Acceleration Days A tough programme (acceleration!) in 1 to 2 days with modules on digital trends, new technologies, new digital models and start-up ecosystem. A mix of training sessions, workshop, presentations and exchange with start-ups. Always at an inspirational location (co-working and creative spaces). AI Scouting and Project Identification Artificial intelligence, decoded. We offer a project format called “Applications of AI”. We demistify the topic of AI and break it down into 7 applications making it tangible, then projects can be identified. Bot Orientation and Development A bot on the roadmap? We offer bot orientation workshops and roadmaps, UX and conversation design, bot development and trainings. With many learnings from many projects. Current and past development of bots for news, ticket purchase, customer support, marketing and sales. Videos We produce video formats for companies’ intranets for all levels. The formats are digital news in a monthly series, “A topic-in-digital explained in 100 seconds” series and ad-hoc videos. Languages: German, English, French. A great way to keep up with the fast world of digital (at least once a month). Lots of activities every month. Based in betahaus Hamburg, but constantly in motion: we publish news, we hold workshops and we join events. Be part of it, too! Meet our partners based in Berlin, Paris and Amsterdam. 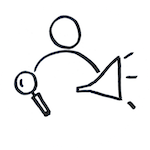 BOTTALK is a software (SaaS) that creates complex Alexa Skills and Google Assistant Actions with simple markup language. Session management, context awareness, third party APIs integration, template language support, automated tests of all possible dialog flows, one-click deploys. BotTalk is a free service.